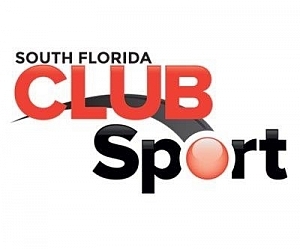 South Florida Club Sport was formed in 2001 to offer like minded young professionals to enjoy social sports as a way to meet people and stay active. SFCS has become the largest provider of adult sports between Miami & Ft. Lauderdale. There are over 10,000 players that enjoy our social sports, happy hours, tournaments and trips every year. Find your sport or activity and get out there. We are here to make sure you meet new friends, stay active and get involved. Start playing your favorite sports today and maybe you'll meet some pretty cool people. We provide kickball, softball, soccer, flag football, volleyball and basketball leagues. Sometime we try new sports like disc golf and innertube water polo, so we'll have something for you. If you think you belong in a professional sports league, you probably don't belong in ours unless your just looking to have fun. Club Sport leagues can also be found in the Sarasota (SoCo Club Sport) as well as Tampa Bay (Tampa Bay Club Sport). In addition, we offer youth sports (Club Sport Kids) and traveling soccer tournaments (Soccer Six Florida).